This superb, two bedroom apartment in Barcelona is located in the Poble Sec neighborhood, between Fira de Barcelona and the port. You’ll find 2 metro stops nearby the apartment allowing you to have easy access to the rest of the city. Near the apartment you will find everything you need including supermarkets, bars, cafés, banks and pharmacies. The apartment has two bedrooms and two bathrooms. The master bedroom features a large double bed while the other bedroom has single beds. The apartment can accommodate up to 4 people and has been recently renovated in a modern style. The kitchen is fully-equipped allowing you to whip up your favorite meals in the comfort and privacy of this lovely apartment. You’ll also have access to a balcony and a private terrace. 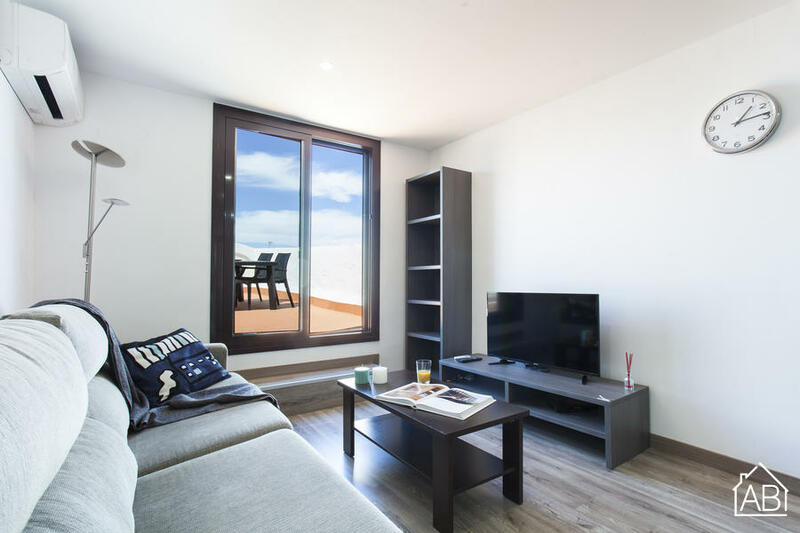 Complete with internet connection, this apartment in Barcelona is the perfect choice for your stay in the Catalan capital!